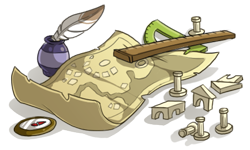 [center][url=http://www1.flightrising.com/forums/ann/2392505][img]http://flightrising.com/dropbox/logo_bounty_newspost_948732587.png[/img][/url][/center] The time is here! [i]Flight Rising's[/i] [b]open registration[/b] event, [i]Bounty of the Elements[/i], has begun! Tell your friends, family, and coworkers: it's time to begin your dragon clan's new adventure! 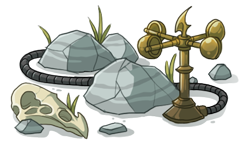 [center][url=http://www1.flightrising.com/forums/ann/2392505][b]Click here to read more about the celebration! [/b][/url][/center] [more] ------ [size=4][b]Open Registration[/b][/size] [i]Flight Rising[/i] has been under constant construction and refactoring to make sure that its code infrastructure and server hardware can handle a steady influx of players and account registrations. What started as an uphill climb has become a tremendous learning and growth opportunity for our team, and we are proud to say that the day has finally come where we feel comfortable swinging wide the gates. [b]Account registration is now permanently open! [/b] Come one, come all, and join us in the world of Sornieth! ------ [size=4][b]Let's Celebrate! [/b][/size] As part of the celebration, we're running a small event called [i]Bounty of the Elements[/i], which starts right now! While some of the portions of this event will be temporary (ending [b]06:00 Server Time on Monday, March 19th[/b]), registration will remain fully open! [size=4][b]Lore[/b][/size] The elemental dragonflights of Sornieth have long rivaled for control of their realm. Their warring spirits have put them at odds with their neighboring brethren as well as the tenacious beastclans. But...something is changing. The pull of the elements has increased, sowing prosperous bounties for each flight and their thousands of clans. Riptides have become stronger, wind currents howl with incredible force, the nights have become darker, and the days have become brighter. Blizzards are formidably crusting the very edges of the lands in the south, as intense thunderstorms wreak havoc on those in the east, the excess energy ripe for harvest. Industrious, ground-breaking clans like Fire and Earth are discovering extremely valuable minerals and artifacts never before seen, leading to breakthroughs in ancient history and metallurgy. The creep of the plague is harder and harder to repress as new strains threaten to infect areas once protected. The natural world is also flourishing, roots taking hold to find moisture wherever they can. From the sanctity of their floating islands, the Arcane dragons watch this burgeoning new world, wondering what gifts...or what curses...it might bestow. To take advantage of this, dragonflight populations are poised to climb dramatically. [center]---[/center] We've added ten [b]short stories[/b] to our expanding site lore, telling the tales of this new bountiful age. 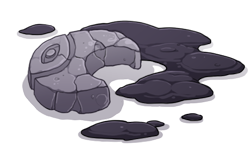 Click an image below to be taken to each story: [center] [url=http://flightrising.com/main.php?p=wiki&article=92][img]http://flightrising.com/dropbox/lore_ice9268676.png[/img][/url][url=http://flightrising.com/main.php?p=wiki&article=93][img]http://flightrising.com/dropbox/lore_arcane9933737.png[/img][/url] [url=http://flightrising.com/main.php?p=wiki&article=94][img]http://flightrising.com/dropbox/lore_fire9066314.png[/img][/url][url=http://flightrising.com/main.php?p=wiki&article=95][img]http://flightrising.com/dropbox/lore_wind9368547.png[/img][/url] [url=http://flightrising.com/main.php?p=wiki&article=96][img]http://flightrising.com/dropbox/lore_shadow9415791.png[/img][/url][url=http://flightrising.com/main.php?p=wiki&article=97][img]http://flightrising.com/dropbox/lore_earth9776527.png[/url] [url=http://flightrising.com/main.php?p=wiki&article=98][img]http://flightrising.com/dropbox/lore_lightning9943505.png[/img][/url][url=http://flightrising.com/main.php?p=wiki&article=99][img]http://flightrising.com/dropbox/lore_natureplague8970443.png[/img][/url] [url=http://flightrising.com/main.php?p=wiki&article=100][img]http://flightrising.com/dropbox/lore_water8964518.png[/img][/url][url=http://flightrising.com/main.php?p=wiki&article=101][img]http://flightrising.com/dropbox/lore_light9398113.png[/img][/url] [/center] ------ [size=4][b]Temporary Bounties[/b][/size] As part of the celebration, we will be running two temporary promotional bounties until [b]Monday, March 19th. [/b] [LIST] [*][b]Bonus Coliseum Experience[/b] The roil of the elements has supercharged battle-ready dragons. For the duration of the bounty, all players will receive [b]50% more experience[/b] when completing battles in the Coliseum. 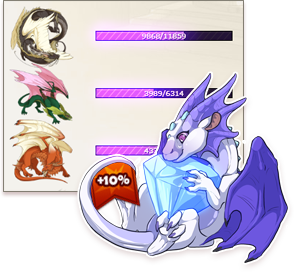 [*][b]Bonus Gems[/b] A motherlode of precious gemstones in Dragonhome has been unearthed. For the duration of the bounty, all players will receive [b]10% bonus gems[/b] when purchasing a gem package. 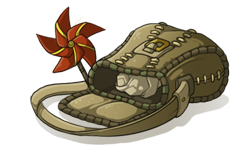 [/LIST] [center][img]http://flightrising.com/dropbox/bounty_promos_29437294.png[/img][/center] ------ [size=4][b]Welcome Home! [/b][/size] With this event, we would love to welcome long-time [i]Flight Rising[/i] players that may have left us for awhile come back and enjoy all of the things they may have missed while away. We know, however, that returning to game can be challenging when all of your dragons have lost their energy and you only have so many gathering turns to spend in order to feed them. 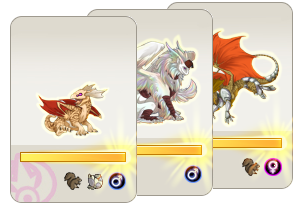 Starting today, if you have not logged into [i]Flight Rising[/i] for [b]over 45 days[/b], [b]all of your dragons' energy levels will be set to full[/b], allowing you a much better jumping off point towards returning to the fun. You need not do anything but log in! If you have a friend or two that's taken a break and are unsure about returning, let them know about this special boon! 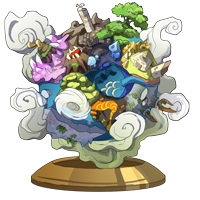 [center][img]http://flightrising.com/dropbox/bounty_dragonrestore4.png[/img][/center] ------- [size=4][b]The Which Waystone[/b][/size] In an effort to help to help both new and returning players alike, we've added the [b]Which Waystone[/b], a helpful guidestone that can point you towards [b]activities you can partake in[/b] on [i]Flight Rising[/i]. Using your player data, the Which Waystone will attempt to curate a [b]tailored list[/b] of things you can do right away, so it's great to check back on if you're unsure where to go next! In addition to dynamic activities, it can also suggest some activities to do that are available all day. 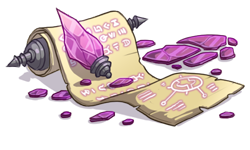 [center][img]http://flightrising.com/dropbox/bounty_wws_2472984.png[/img][/center] The Which Waystone will naturally hang out on the [b]bottom right corner[/b] of the website and can be clicked to visit the suggested activities page. For seasoned players, you can toggle the Which Waystone [b]off [/b]. [b]NOTE:[/b] For mobile users and players using devices with low screen resolution, the Which Waystone will be hidden by default. You'll still be able to click a link in our left-hand navigation menu under Library to reach it, though! ------- [size=4][b]New Premium Item: Swiftbrood Boon[/b][/size] [center][item=swiftbrood boon][/center] As the dragonflights rush to take advantage of the uptick in elemental activity, their clans grow stronger every day. 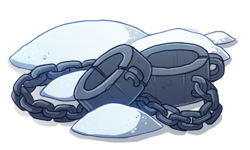 [b]The Swiftbrood Boon is a new premium item that will reduce the breeding cooldown of a single eligible dragon by half of its maximum. [/b] It achieves this by [b]borrowing time[/b] from their [i]next[/i] breeding cooldown. [b]Eligibility:[/b] [list][*]A dragon must have gone through one cooldown cycle since hatching. [*]A dragon cannot already be on a Swiftbrood Boon cooldown. [/list] To avoid rampant hatchlings, after a Swiftbrood Boon has been used, in order to breed a [b]consecutive[/b] time, the affected dragon will have to then complete their breed's normal cooldown cycle plus the days originally removed by the boon. [b]Think of it like this:[/b] the dragon is simply paying back a "cooldown loan" before returning to normal. [br] [indent][b]Example:[/b] An imperial dragon has a thirty (30) day cooldown. Using the Swiftbrood Boon will cut its cooldown to fifteen (15) days. Once the dragon has been bred, its cooldown resets; however, unlike the normal cooldown length, the imperial dragon's breeding cooldown will be [b]forty-five (45) days. [/b] That's the normal cooldown of 30 days [b]plus[/b] the 15 removed by the boon previously. [b]NOTE:[/b] This debuff only impacts the breeding cooldown that [b]immediately follows[/b] a Swiftbrood Boon use. [/indent] If a Swiftbrood Boon is used on a dragon that has a remaining number of days on its breeding cooldown that is less than the amount the item will deduct, the dragon will be ready to breed immediately! The Swiftbrood Boon is now available in the [b]Gem Marketplace[/b]. -------- [size=4][b]Celebratory Event Familiar[/b][/size] As a thanks for joining us for the [i]Bounty of the Elements[/i], all accounts that are registered (including those that already exist) by [b]06:00 server time on Monday, March 19th[/b] will receive a gift! A [b]celebratory event familiar[/b] will be deposited to each account's Hoard. 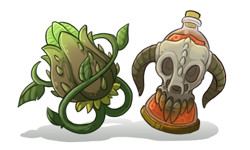 [center][img]http://flightrising.com/dropbox/Sornieth-Globe.png[/img][/center] --------- [size=4][b]Forum Report Feature[/b][/size] With open registration comes an increase in new players, but also a possible increase in inappropriate forum behavior and rule-breaking. To help protect the warm and inviting culture we are proud to boast about, [b]we have completely revamped the way you submit reports[/b] about the following: [list] [*][b]Harassing or Abusive Posts[/b] [*][b]Spamming[/b] [*][b]Multi-Accounting & Botting[/b] [*][b]Inappropriate Player Names[/b] [/list] Rather than submit your reports via [b]Contact Us[/b] as you have in the past, reports can be submitted by [b]clicking the yellow triangular icon above an offending post[/b]. A window will appear asking you what type of report it is, and ask you to include any details you feel are relevant to the report. [center][img]http://flightrising.com/dropbox/prev_reportbutton.png[/img][/center] [center][img]http://flightrising.com/dropbox/prev_reportwindow.png[/img][/center] Once submitted, the report will go immediately to the [b][i]Flight Rising[/i] support team[/b] for review. This new system has been redesigned from the bottom up along with our efforts of improving our support team's internal tools, and will allow us to address issues much faster and more thoroughly. [b]NOTE[/b]: Please do not falsify your report by selecting a different report type, and please do not send multiple reports on the same player. It is not necessary and could impact our ability to respond to a situation. [i]Doing this could also be considered abuse of the Flight Rising support system. If we determine a player has intentionally falsified their report or has organized their friends to spam report a single player, account penalties may be applied. [/i] -------- We feel like 2018 is going to be a great year for [i]Flight Rising[/i], and we have a ton of fun stuff planned. We'd like to take the time to thank each and every one of you who has played with us. Whether you started at the beginning or are just planning to create a new clan during the [i]Bounty of the Elements[/i], we appreciate you. The time is here! Flight Rising's open registration event, Bounty of the Elements, has begun! Tell your friends, family, and coworkers: it's time to begin your dragon clan's new adventure! Click here to read more about the celebration! Flight Rising has been under constant construction and refactoring to make sure that its code infrastructure and server hardware can handle a steady influx of players and account registrations. What started as an uphill climb has become a tremendous learning and growth opportunity for our team, and we are proud to say that the day has finally come where we feel comfortable swinging wide the gates. Account registration is now permanently open! Come one, come all, and join us in the world of Sornieth! As part of the celebration, we're running a small event called Bounty of the Elements, which starts right now! While some of the portions of this event will be temporary (ending 06:00 Server Time on Monday, March 19th), registration will remain fully open! The elemental dragonflights of Sornieth have long rivaled for control of their realm. Their warring spirits have put them at odds with their neighboring brethren as well as the tenacious beastclans. But...something is changing. 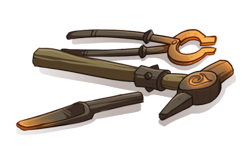 The pull of the elements has increased, sowing prosperous bounties for each flight and their thousands of clans. Riptides have become stronger, wind currents howl with incredible force, the nights have become darker, and the days have become brighter. Blizzards are formidably crusting the very edges of the lands in the south, as intense thunderstorms wreak havoc on those in the east, the excess energy ripe for harvest. Industrious, ground-breaking clans like Fire and Earth are discovering extremely valuable minerals and artifacts never before seen, leading to breakthroughs in ancient history and metallurgy. The creep of the plague is harder and harder to repress as new strains threaten to infect areas once protected. The natural world is also flourishing, roots taking hold to find moisture wherever they can. From the sanctity of their floating islands, the Arcane dragons watch this burgeoning new world, wondering what gifts...or what curses...it might bestow. To take advantage of this, dragonflight populations are poised to climb dramatically. As part of the celebration, we will be running two temporary promotional bounties until Monday, March 19th. The roil of the elements has supercharged battle-ready dragons. For the duration of the bounty, all players will receive 50% more experience when completing battles in the Coliseum. A motherlode of precious gemstones in Dragonhome has been unearthed. For the duration of the bounty, all players will receive 10% bonus gems when purchasing a gem package. With this event, we would love to welcome long-time Flight Rising players that may have left us for awhile come back and enjoy all of the things they may have missed while away. We know, however, that returning to game can be challenging when all of your dragons have lost their energy and you only have so many gathering turns to spend in order to feed them. Starting today, if you have not logged into Flight Rising for over 45 days, all of your dragons' energy levels will be set to full, allowing you a much better jumping off point towards returning to the fun. You need not do anything but log in! If you have a friend or two that's taken a break and are unsure about returning, let them know about this special boon! 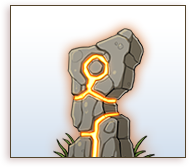 In an effort to help to help both new and returning players alike, we've added the Which Waystone, a helpful guidestone that can point you towards activities you can partake in on Flight Rising. Using your player data, the Which Waystone will attempt to curate a tailored list of things you can do right away, so it's great to check back on if you're unsure where to go next! In addition to dynamic activities, it can also suggest some activities to do that are available all day. 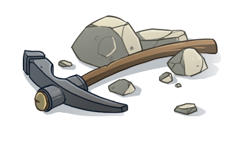 The Which Waystone will naturally hang out on the bottom right corner of the website and can be clicked to visit the suggested activities page. For seasoned players, you can toggle the Which Waystone off . NOTE: For mobile users and players using devices with low screen resolution, the Which Waystone will be hidden by default. You'll still be able to click a link in our left-hand navigation menu under Library to reach it, though! As the dragonflights rush to take advantage of the uptick in elemental activity, their clans grow stronger every day. The Swiftbrood Boon is a new premium item that will reduce the breeding cooldown of a single eligible dragon by half of its maximum. It achieves this by borrowing time from their next breeding cooldown. A dragon must have gone through one cooldown cycle since hatching. A dragon cannot already be on a Swiftbrood Boon cooldown. To avoid rampant hatchlings, after a Swiftbrood Boon has been used, in order to breed a consecutive time, the affected dragon will have to then complete their breed's normal cooldown cycle plus the days originally removed by the boon. Think of it like this: the dragon is simply paying back a "cooldown loan" before returning to normal. Example: An imperial dragon has a thirty (30) day cooldown. Using the Swiftbrood Boon will cut its cooldown to fifteen (15) days. Once the dragon has been bred, its cooldown resets; however, unlike the normal cooldown length, the imperial dragon's breeding cooldown will be forty-five (45) days. That's the normal cooldown of 30 days plus the 15 removed by the boon previously. NOTE: This debuff only impacts the breeding cooldown that immediately follows a Swiftbrood Boon use. If a Swiftbrood Boon is used on a dragon that has a remaining number of days on its breeding cooldown that is less than the amount the item will deduct, the dragon will be ready to breed immediately! The Swiftbrood Boon is now available in the Gem Marketplace. 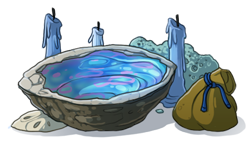 As a thanks for joining us for the Bounty of the Elements, all accounts that are registered (including those that already exist) by 06:00 server time on Monday, March 19th will receive a gift! A celebratory event familiar will be deposited to each account's Hoard. Rather than submit your reports via Contact Us as you have in the past, reports can be submitted by clicking the yellow triangular icon above an offending post. A window will appear asking you what type of report it is, and ask you to include any details you feel are relevant to the report. 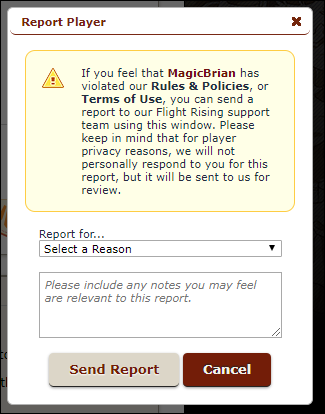 Once submitted, the report will go immediately to the Flight Rising support team for review. This new system has been redesigned from the bottom up along with our efforts of improving our support team's internal tools, and will allow us to address issues much faster and more thoroughly. NOTE: Please do not falsify your report by selecting a different report type, and please do not send multiple reports on the same player. It is not necessary and could impact our ability to respond to a situation. Doing this could also be considered abuse of the Flight Rising support system. If we determine a player has intentionally falsified their report or has organized their friends to spam report a single player, account penalties may be applied. We feel like 2018 is going to be a great year for Flight Rising, and we have a ton of fun stuff planned. We'd like to take the time to thank each and every one of you who has played with us. Whether you started at the beginning or are just planning to create a new clan during the Bounty of the Elements, we appreciate you. Yay! I’m glad we’ve gotten some boons. The familiar is really interesting!